I’ll never understand why Ryan Gosling didn’t get an Oscar nomination for this film. Despite getting some great movie roles, I still see Gosling as an extremely underrated actor. I first noticed his talent when I saw The Notebook, and he confirmed his acting chops with Lars and the Real Girl. The film is about a lonely guy from a small town who tells his family that he finally got a girlfriend. His family is thrilled, and they invite them over for dinner to meet his girlfriend. 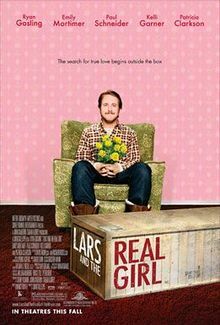 When Lars (Gosling) shows up with a doll and introduces her as his girlfriend, his family has no idea how to react. They decide to treat the doll as if she’s a real person until they can figure out a solution. The exploration of Lars’ mental health, coupled with the task of treating a doll as a real human being, makes this film one of the best I’ve seen. Rent it. Next Next post: When Did Enrique Iglesias Start Recording Britney Spears Music?